What if your mother was a Tyrannosaurus Rex? You desperately need your mom to keep you safe. You turn to her when you are afraid, you rely on her touch to comfort you. Human babies need mommies (or daddies- a safe, loving caregiver) for survival. What if the one person who could keep you safe was a scary, loud, rough Tyrannosaurus Rex, with a terrifying roar and sharp pointy teeth? UPDATE!!!! This recorded webinar is now available for purchase on my website!!! CLICK HERE!!! What happens when you come face to face with a velicoraptor? What do you want to do? Where do you want to run? You run to the person who keeps you safe- your mom! So, what if your mom is a Tyrannosaurus Rex? Then what do you do? Humans are blessed with an attachment system that serves many purposes. The attachment system lays the building blocks for mental health, relationship skills, and self-regulation. The attachment system is also a biological system that ensures our survival. It is through the attachment system that little babies keep their parents close. When babies are distressed, they behave in ways that brings a parent toward them. As babies get older, they move toward their parents- with their legs or with their eyes- seeking out closeness and safety. This system works because parents aren’t supposed to be scary. When a small child is feeling anxious, nervous, uncomfortable, scared, or terrified their attachment system becomes activated and draws them closer to their attachment figure. When the attachment figure is the source of the anxious, nervous, uncomfortable, scared or terrifying feelings children are left with an unsolvable dilemma. When your fight/flight/freeze system is activated by the SAME person who activates your attachment system, you’ve got a big problem. It is this unsolvable dilemma that is the basis for disorganized attachment. Hebb’s Axion tells us that “Neurons that fire together wire together.” Children who experience terror, fear, or neglect at the hands of the person who is supposed to keep them safe experience a simultaneous activation of both the attachment system and the fight/flight/freeze system. This simultaneous activation weaves together these experiences in the nervous system, linking these two systems in a deep way. Over time, in a new, safe home, children’s attachment system begins to be activated by the new, safe caregiver. But due to the previous tangling of the attachment system and the fight/flight/freeze system, this new, safe caregiver activates the attachment system AND the fight/flight/freeze system. Our children become caught in this impossible paradox of “come close, run away.” This horrifying confusion, which leaves children feeling vulnerable, exposed, and at risk of death, is the driving force behind their bizarre and confusing, sometimes dangerous, behaviors. This entangled circuitry- of attachment and fight/flight/freeze- can be slowly untangled overtime. It is a slow, methodical process which solidifies our understanding of the importance of parenting with connection. It is the piece we can turn back to when we begin to doubt “trust-based parenting” (Purvis & Cross, TCU) because it reminds us that we must never be sources of fright or terror to our children. That if we become triggered and behave in ways we regret- with a spanking or a threat or any attempt at gaining better behavior through fear or coercion, that it is imperative to repair that breech and continue to repattern our children’s nervous system. We cannot simply reassure our children that we are safe. We must prove to them- over and over and over again- that we are safe. We must commit to never reinforcing in their nervous system that “attachment figure” and “danger danger” goes together. Update 4/26/2017: There is so much hope! We can work with our children to untangle their attachment system from their ‘danger danger’ system. On Wednesday 05/03/2017, join me for a two-part webinar that will help you understand the concept of disorganized attachment even more, and then give you some ideas about what to do next. Part 1 will be LIVE on 05/03/2017 but EVERYONE who registers will receive the full video recording. Part 2 will be be prerecorded and the link will be provided at the same time you receive the link to the recording of Part 1. 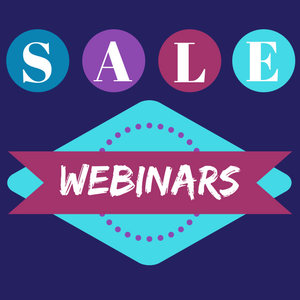 This two-part webinar will be yours to view as many times as you want and is only $19 for BOTH PARTS!!! Since both parts are offered as a recording, there is truly no reason NOT to register!!! ANOTHER UPDATE!!!! This recorded webinar is now available for purchase on my website!!! CLICK HERE!!! Robyn Gobbel, LCSW is a child and family therapist in Austin, Texas specializing in adoption, trauma, and attachment counseling. She is the founder of the Central Texas Attachment & Trauma Center. Loved the essay. Question. How does one parent an adoptive teen who uses this method of parenting as a source of manipulation? Strong boundaries have been set as a result of her compulsive lying and manipulation for 3 years. We are here but cannot allow her to “use” our saftey net for her manipulating things to go her way. And no therapist or psychiatrist has been able to help her for 5+ years. She knows what to say, how to say it and how to act. Any suggestions? We do have another older attachment disorder child in our home when is thriving and does not manipulate or compulsively lie. Bravo Robyn! This is so well said! Thanks 🙂 I’m glad it was helpful!! So if your child has suffered this and you want to change what has happened, can this be reversed? How to help children affected? When is there’s a time where it can not be reversed? Hi Liz! Great question! There is lots that can be done to untangle disorganized attachment. Poke around my blog a bit!! I am also doing a webinar next Wednesday called ‘Untangling Disorganized Attachment.’ On the right hand side of my blog is an image the talks about the upcoming webinar. You can click on that for details. If you sign up to receive blog updates or my newsletter, you will also get an email later this week about the webinar. Voted Best Adoption Resource in Austin! A Trauma Informed Approach to Behaviors in the Classroom- free download!